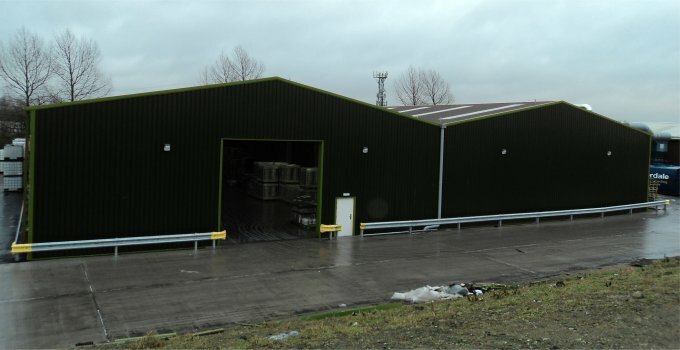 Looking to buy a new steel building? Verified Steel Buildings is the place for anything you need in steel buildings or metal-framed construction. 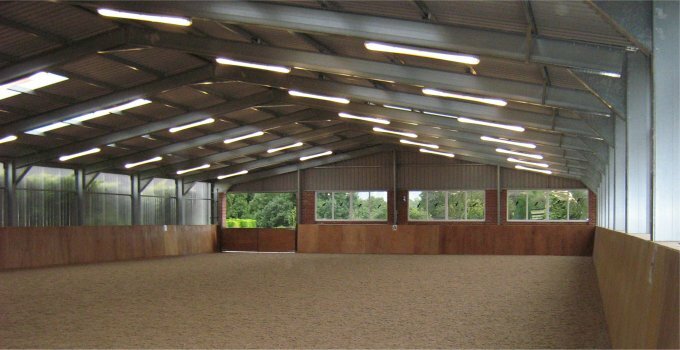 If you need a quote for industrial warehouses and workshops, agricultural buildings and barns, leisure and sports facilities or domestic buildings like garaging to more exotic buildings like riding arenas, stable and aircraft hangers start here first. 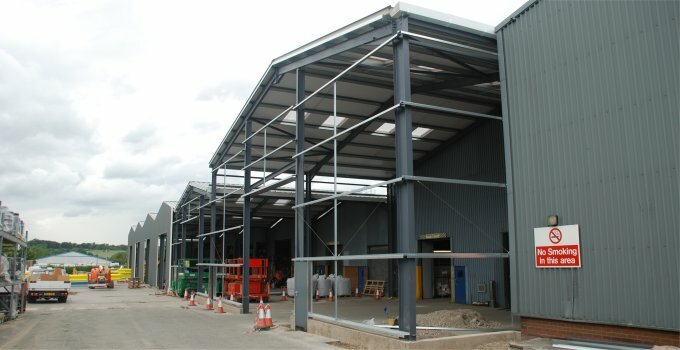 Get FAST steel building quotes and design help from recommended UK steel building suppliers. Just click the Quote Me button below to get started! 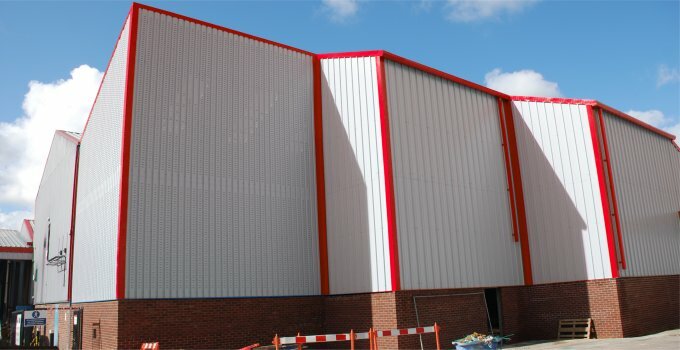 Get free no-obligation steel building quotes from the UK's top steel-building suppliers - the fastest way to get the building you want. One simple form connects you with verified steel building experts who can deliver the building that you want. 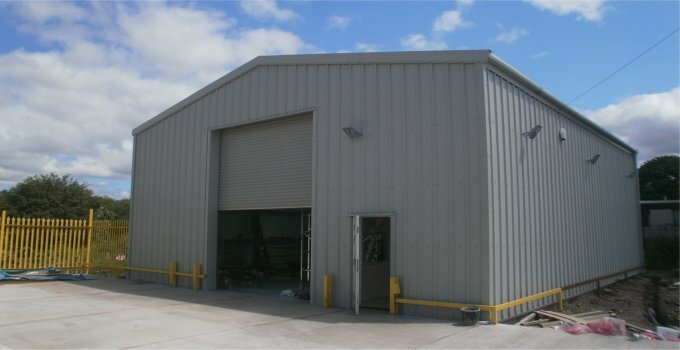 Whatever type of building you want, Verified Steel Buildings will connect you to proven recommended specialist steel buildings suppliers who can provide steel framed buildings to your exact specifications. 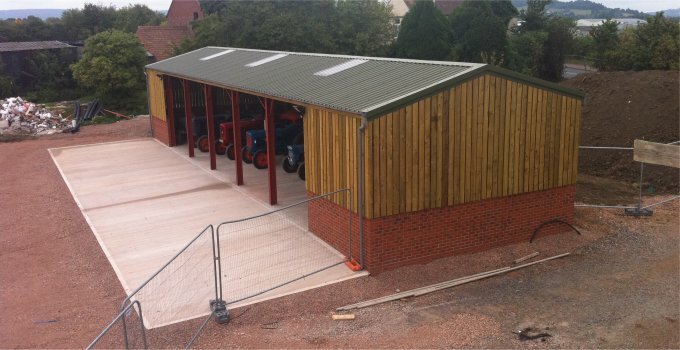 Do you want steel shed type industrial units and farm buildings or other buildings for agricultural use like barns or sheds for storage, or you need deluxe riding arenas and stables, garaging, or specialist cold-rolled steel constructions like canopy frames or aircraft hangers? 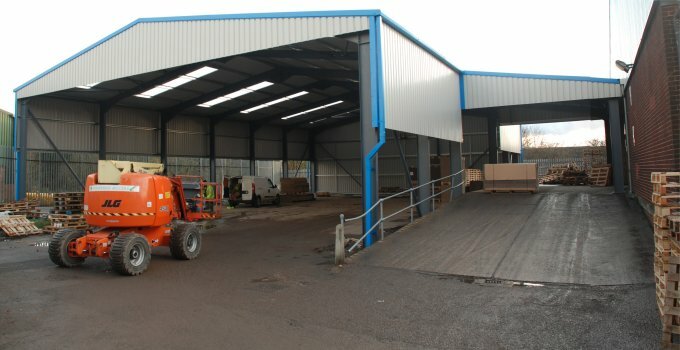 What ever you want in a building or construction, we make buying easy to ensure you get the right service, the right price and ultimately the right steel building for your needs. All of the suppliers have been reviewed and are established specialists who can offer help with specifications, design, planning and groundwork services, in addition to simple supply and construction. 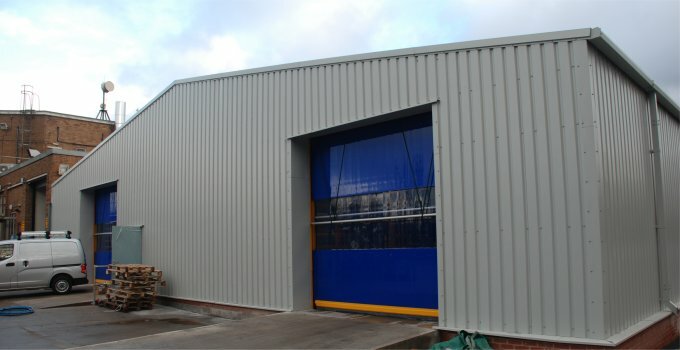 Whether you want a full planning and construction service, or whether you just want a steel building kit or materials and will erect the construction yourself, try us today for your no obligation free steel building quote. Two examples of combination office buildings and warehousing for use as industrial buildings. 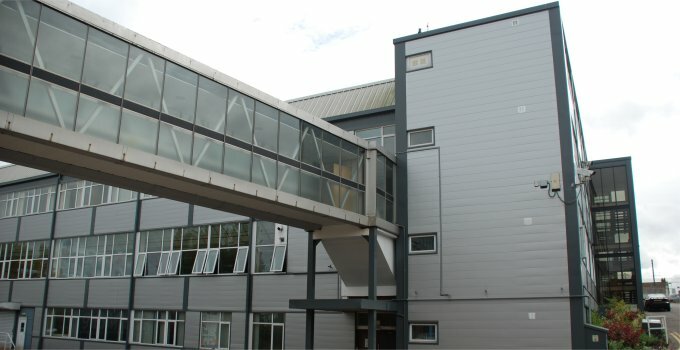 Though the buildings are different in detailed design, both include both a working (production or storage) area and two storey offices for administration. The buildings use the flexibility portal-frames give you to create a combined use building with large doors and high ceilings for the production area. Both are fully insulated with large windows and skylights for natural light. This is an example of a large factory complex for industrial use built using linked and interconnected steel-framed buildings across the factory site. This is a large building sand shows the potential scale and size from building in steel. 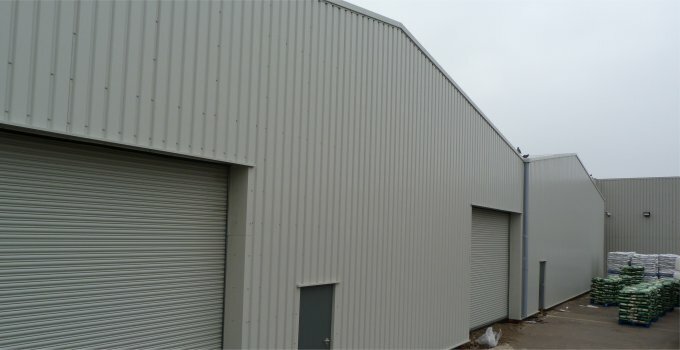 Not every building needs to be so grand and many smaller businesses use much simpler steel buildings finding that they are much more cost-effective than other building methods. 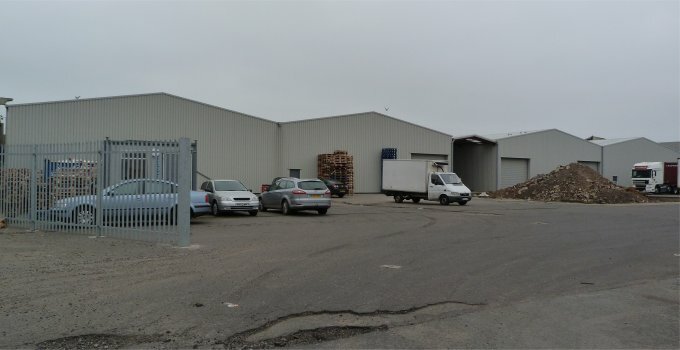 For this example, the site includes several production areas and offices under one roof. Scrap-metal handling facility with very large over-height doors for crane access. The basic building is approximately 10m high with 8m high access doors to allow for JCBs and cranes to get access. It was important that the interior working space was unimpeded by columns or interior walls as these create obstructions when moving and sorting material, consequently the use of a steel frame was the only way this project was feasible. Note that interior light is provided by the overhead skylights.